There's still time to participate in Color Challenge 67! Remember, you don't have to have the EXACT colors to play - just use colors inspired by the ones you see below. This challenge features an inviting quartet to inspire your next project — Blueberry, Orange Zest, Daffodil, and Tangy Orange. 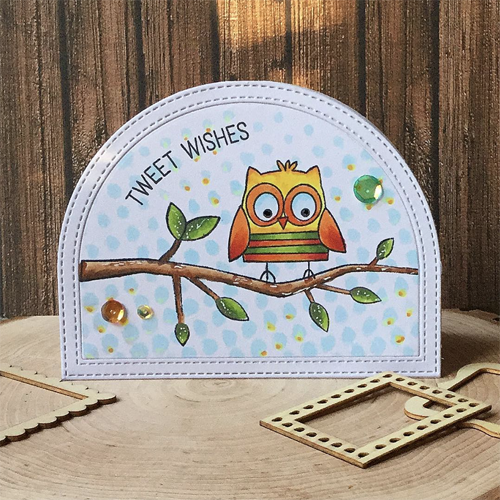 Tina integrated Color Challenge 67 colors into her sweet scene by coloring the owl from Tweet Wishes and substituting a more serene shade of blue to create her impressionistic background. This precarious pile of presents is adorable! 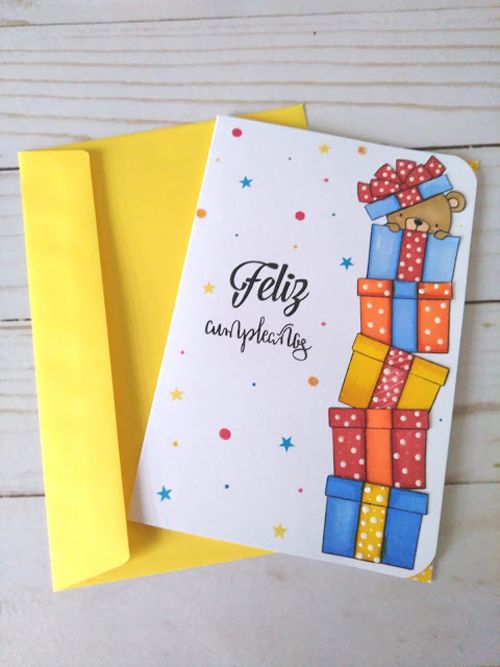 Aroa used Beary Special Birthday to create her scene - present images are a such great choice for infusing color into a birthday card. Be sure to give Color Challenge 67 a go yourself - there's still plenty of time to play along and we always love to see all of the ways you're inspired by the challenge! I'm so excited. You have chosen one of my cards for your blog! Many thanks. I love your stamps and playing with them is for me the best of therapies.